We all know it’s hard to get our babies to take a nap at times. The fact that nap time is in the middle of the day may be a part of the trouble. It can be very inconvenient and results in super cranky unhappy babies. You could put a blanket up against their bedroom window, but that looks awful and you have to go through the trouble of putting (probably by using push pins) it up and taking it down. Pictured above is the Gro Anywhere Blind. 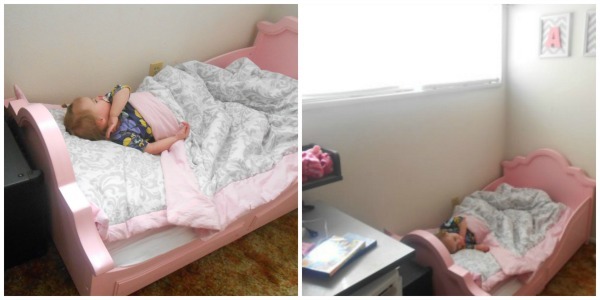 These are the perfect solution to your child’s rough nap times. These blinds are also perfect for traveling. It keeps the light away in the morning and is perfect for hotel rooms, cabins, etc. The Gro Anywhere Blinds can fit most windows. They have velcro straps to make the blinds smaller to fit your window size. It was the perfect length to fit the 71 inch wide window in my daughters room. 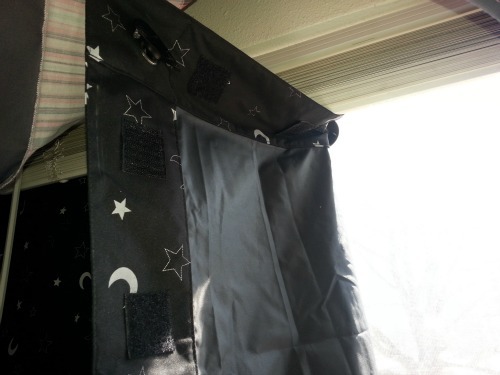 To attach the Gro Anywhere Blinds you use the suction cups. The suction cups make it easy to take on and off. I didn’t have any problem with the suction cups sticking. WHICH WAS A HUGE PLUS FOR ME!!! I have the hardest time getting suctions cups to stay and these actually stay on, even if they get a little tugged. Hooray for working suction cups! I hope they continue to work good and don’t fall off. I haven’t experienced it yet, so that’s a good thing. Here is the Gro Anywhere Blind up in my daughters room. My flash was on so this picture didn’t turn out the best, but I had to use it to show how the Gro Anywhere Blind looked when it was up. She had just woken up from her nap when I was setting this up, so she was a bit tired. This is what her room looked like before the blinds were up. I could of put the Gro Anywhere Blind up so it didn’t show light from the bottom, but my daughter and I both didn’t mind if a little light was showing. It was much better than before though. I have included a video of the Gro Anywhere Blind that the company has made that shows perfectly how to use the Gro Anywhere Blind. It’s very explanatory and better than I could do. You can purchase the Gro Anywhere Blind on Amazon. Be sure to look at my Grobag review. 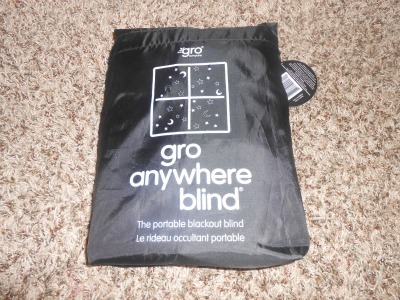 It is part of our bundle giveaway with the Gro Anywhere Blind. The Gro Company is offering to giveaway a Bundle including – (1) Gro Anywhere Blind & (1) Grobag sleep sack OR Grobag travel (you choose which one you’d want) 2 prizes 1 winner!! All you need to do to enter is fill out the Rafflecopter form below! « Grobag Sleep Sack- the perfect sleep sac for your little one! Very nice items! Never saw the blackout pouch before! Nice review! I love that I can make any room dark. Would be especially helpful when traveling. For some reason most of my relatives don’t have curtains. Makes nap time and early mornings in another time zone hard. I like that it is easy to use!! 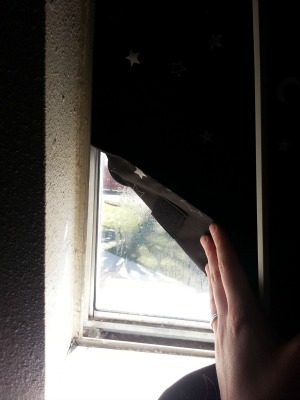 Gro Anywhere Blinds would be great for travel. Naps are hard on the go as it is and this would be great! This makes it easier to nap at grandparents and friends. I like the clean look of the blinds in the nursery and I have asthma. Curtains are out since they can catch dust. This goes up when needed and right back down again.Perfect for allergies/asthma and keeps the room dark when needed and clear/open other times. i like that you can make it dark at anytime of the day. That they look easy to use,and so convenient! I like that it attaches with suction cups, so won’t leave any marks on the walls. 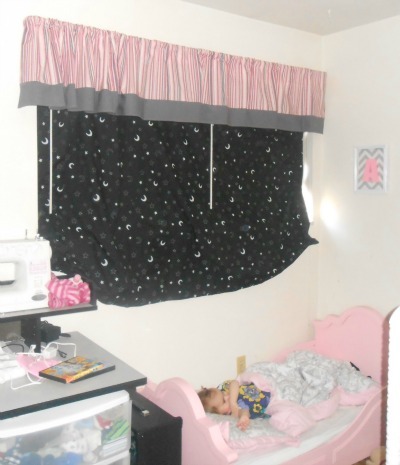 These blackout blinds are a great idea for anywhere…I would use these for grandma’s house. I love that you can take it anywhere with you. This is so interesting. I have two nieces who could use these! I love how portable and easy the blind is! It would be wonderful to have, especially when travelling! I love how simple they are to put up and that you can bring them with you. So many times hotel rooms don’t have dark enough shades so this would be perfect for traveling. I love how where ever we are at we can make the room comfortable for the baby. Simply put, I like the blackout feature! They are great for traveling & so easy to put up. I love that I could use them here at home and take them on the road! They seem easy to use. This is a perfect invention! There have been many times when I’ve complained to my husband about how bright our vacation rental is and how difficult sleep is. The gro blinds are great to solve this problem! 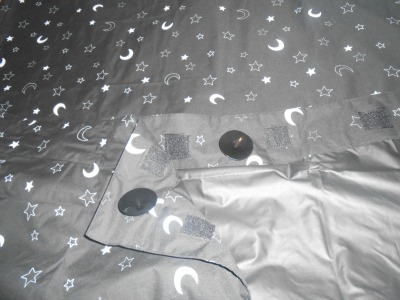 I love the very darkening effect that these offer and the fact they are so portable and somewhat easy to use…I have a two year old grandson…and another precious babygirl coming in June and these woulkd work awesome for the spare room and I would even use them for a “power nap”! These are awesome! I would use this all the time! I love how easy this would be to install! i would use them for me. I work third shift and would be perfect for my day time sleeping. i like that they are portable. Love how easy it to use. I’d love the shade for my Little one. Love how easy it to use. I love how easy to install they look! I would use these in my bedroom Thanks I love the idea!! I could use this in my daughter room. Wow, I need these. I have tried everything to block light from my bedroom windows! My 4 kids can sleep anywhere, any time. But I just got foster-custody of my niece and 2 nephews, ages 4, 3, & 2. And they can’t sleep! Ever! This would be perfect for when we travel, especially in the RV. I like that it can go anywhere, like grandma’s with the lace curtains. I like that it can go anywhere, like grandma’s with the lace curtains. Darkness is my friend with nap time. I love the look of these and how easy they look to use! This would b awesome, help lil ones sleep much better! I love that they keep the room completely dark if you need it to be… it’s hard especially during the time changes when it’s light outside trying to put a baby to sleep!